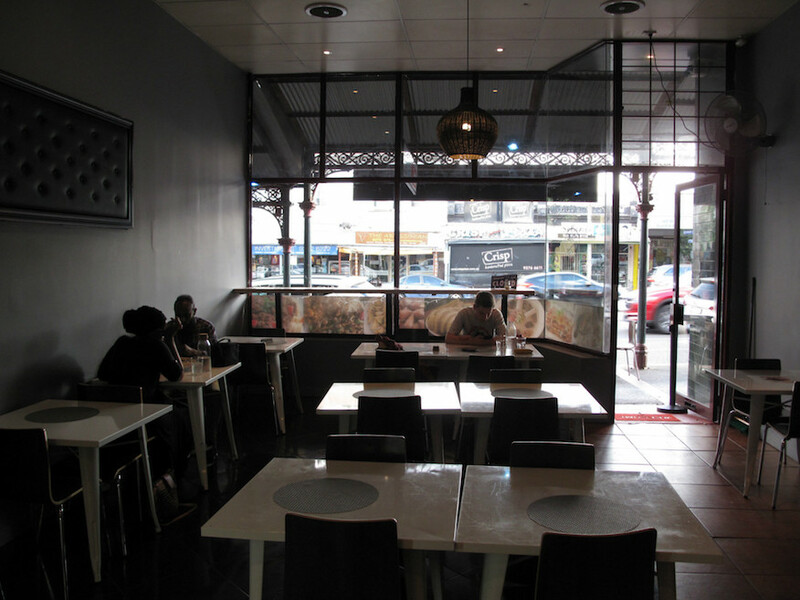 It’s always a nifty pleasure to visit the Footscray Hub arcade – a key component of what makes Footscray central such a cracking place to be. But today we have another motive. 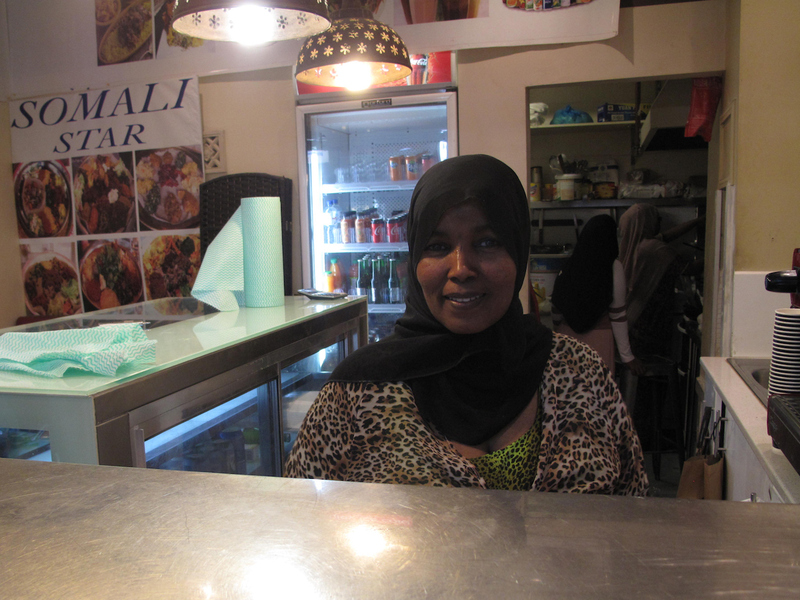 We’d heard that Somali Star was for sale – or perhaps even under new management? So we’re here to find out what the go is. Well, it turns out all is much the same. 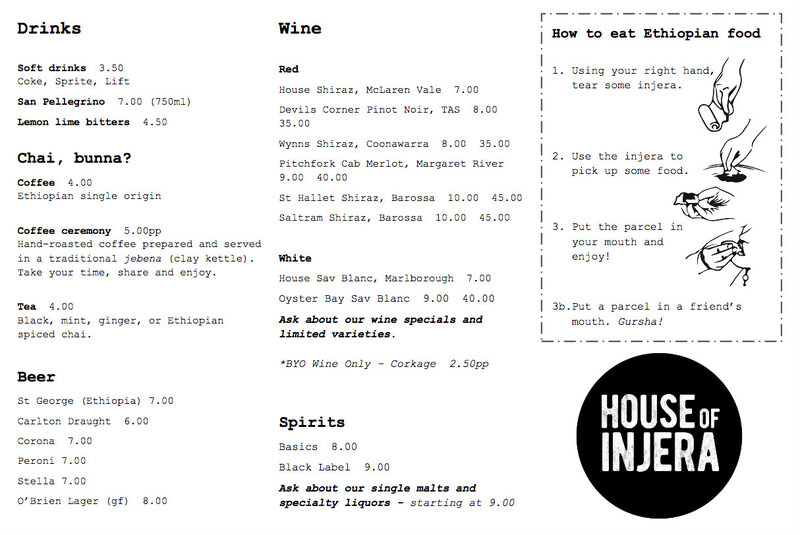 The lovely Johara is still running the joint. She tells me she was considering selling up for a while, but has since dug in for the long haul. 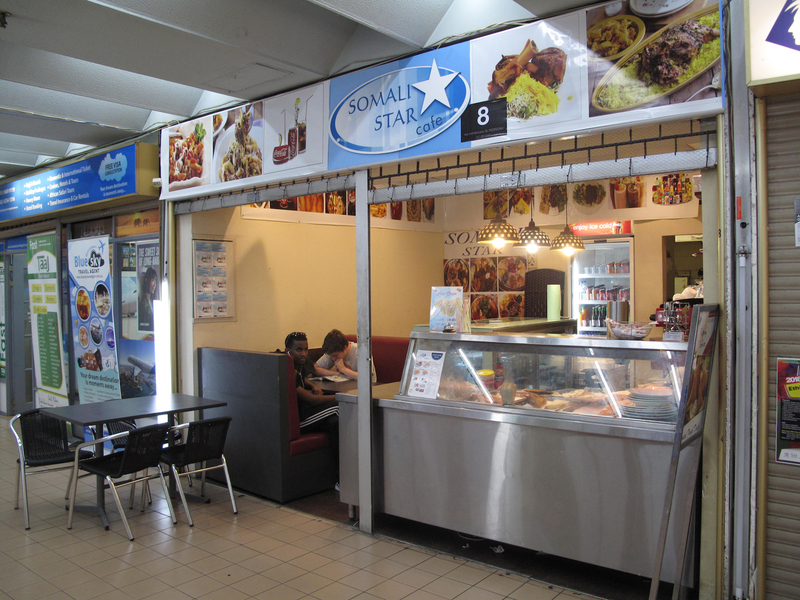 That means Somali Star remains a happy place that is very popular with the locals, especially those seeking the world famous sambusas. 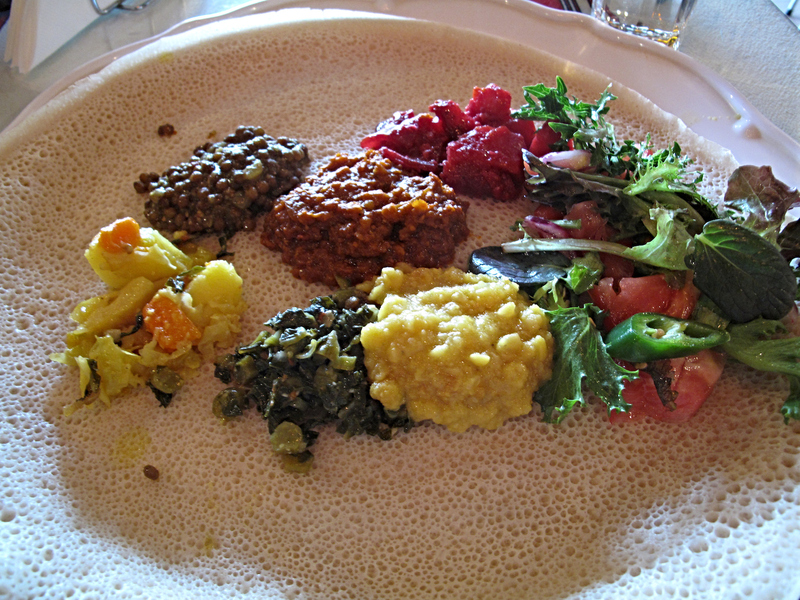 For eating in, there is an appealing mix of Somalian and Ethiopian fare. 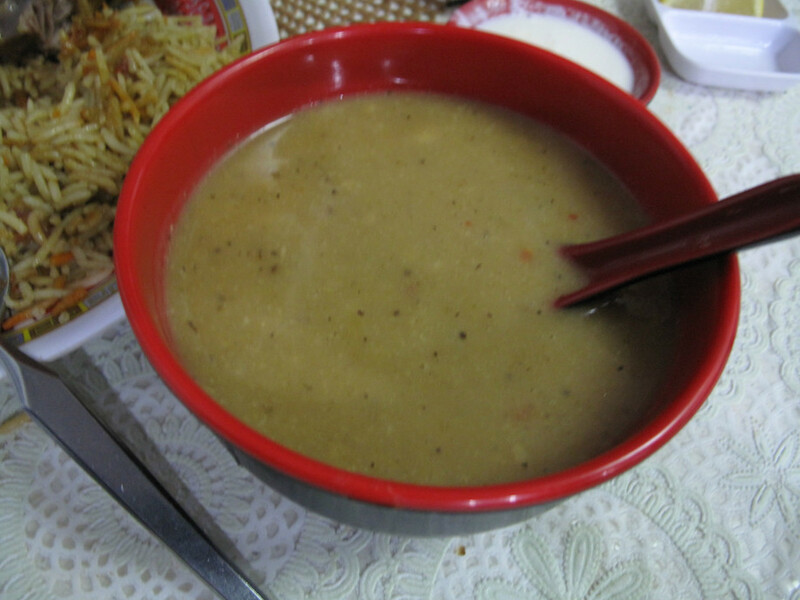 There being no pasta immediately on hand, Bennie is thwarted in his ambition to have such like with “beef curry”. 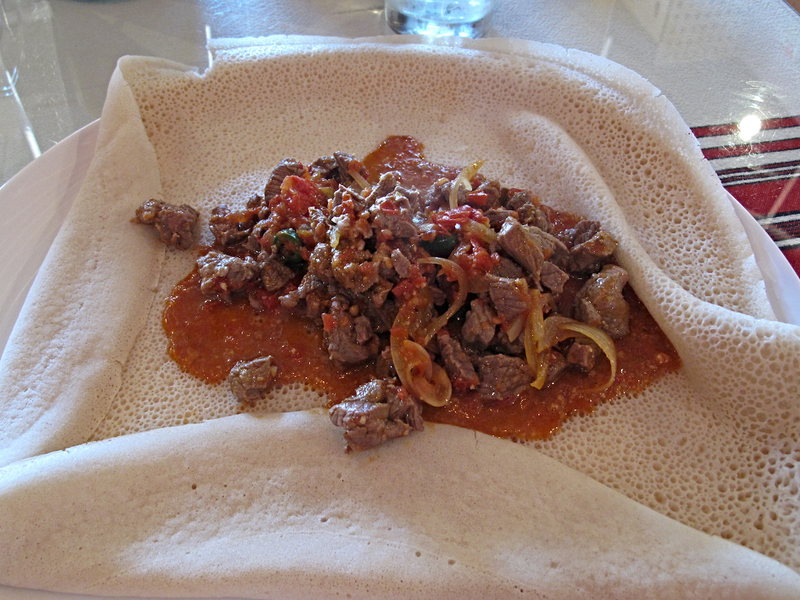 So he joins me in having a simple meal of “tips” with injera ($15). The “tips” are wetter, and more tomato-based, than we normally get in this neighbourhood, but we still enjoy our lunches very much. 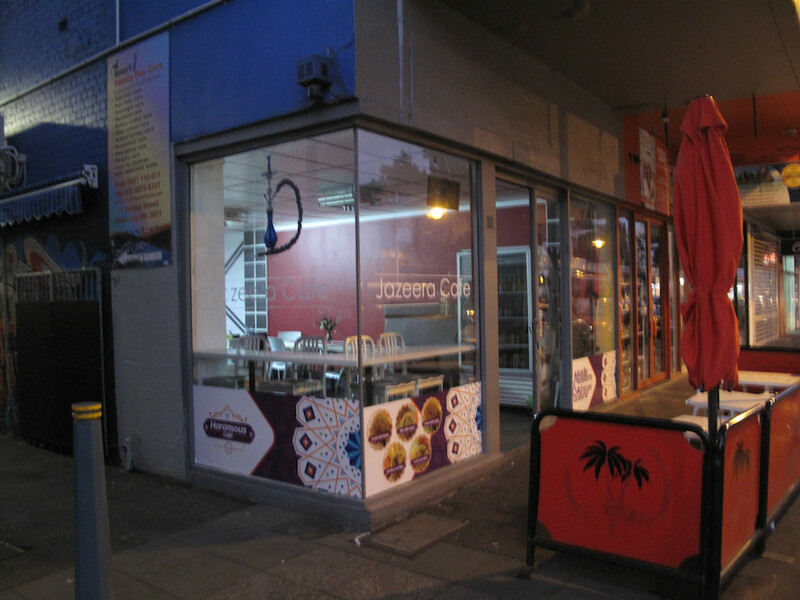 Somali Star is on Uber, though last orders are taken at 6.30pm when the arcade closes. Lucy Dinknesh is dead; long live Lucy Dinknesh. 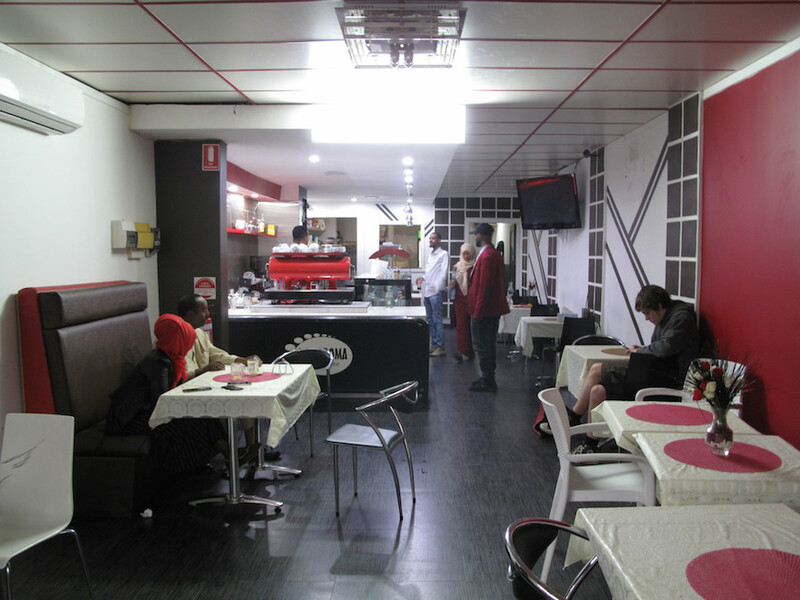 The much-loved Ethiopian stalwart of the Footscray eats scene has closed its doors. Doubtless that will leave a hole impossible to fill for its many fans. 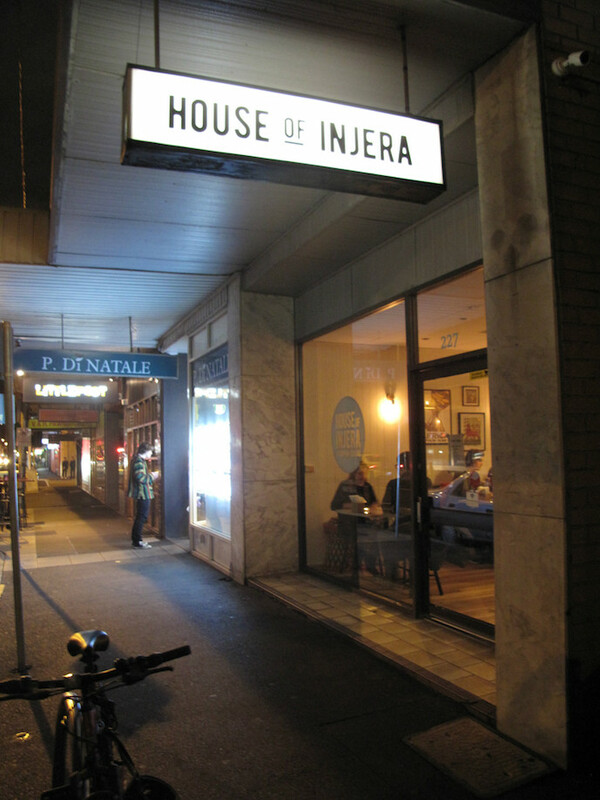 But House of Injera – at the same address – is giving it a good shake. 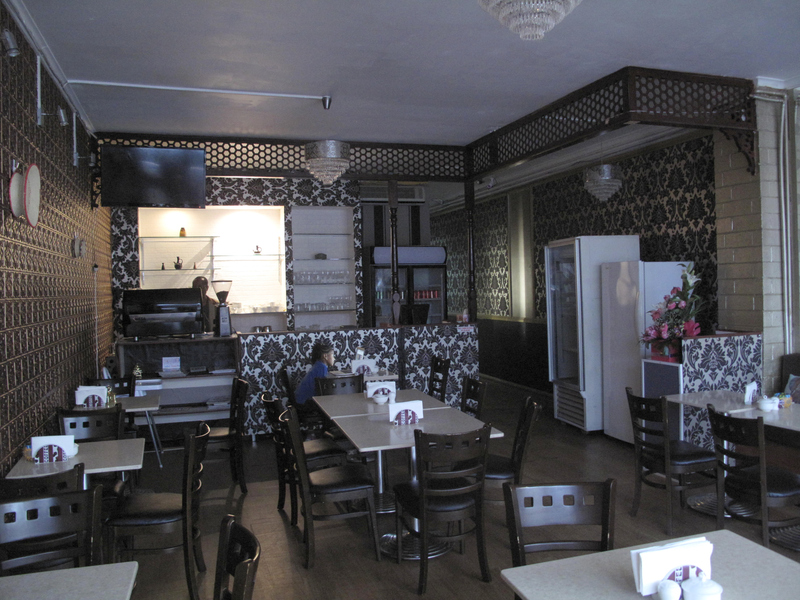 Based on the mostly excellent food we eat during a mid-week visit – and the happy tables around us – House of Injera is destined to be a hit. Even with otherwise inconsolable Lucy fans. But this is a rather different enterprise. 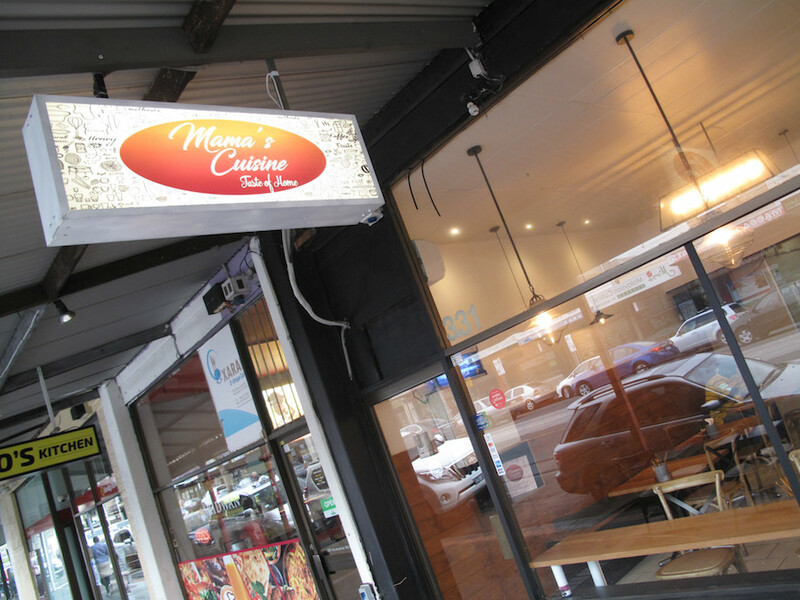 It’s the first restaurant adventure for the team of Wes and Brod Jackson and Messe Berhe, with the latter (mum of Wes) doing all the cooking. 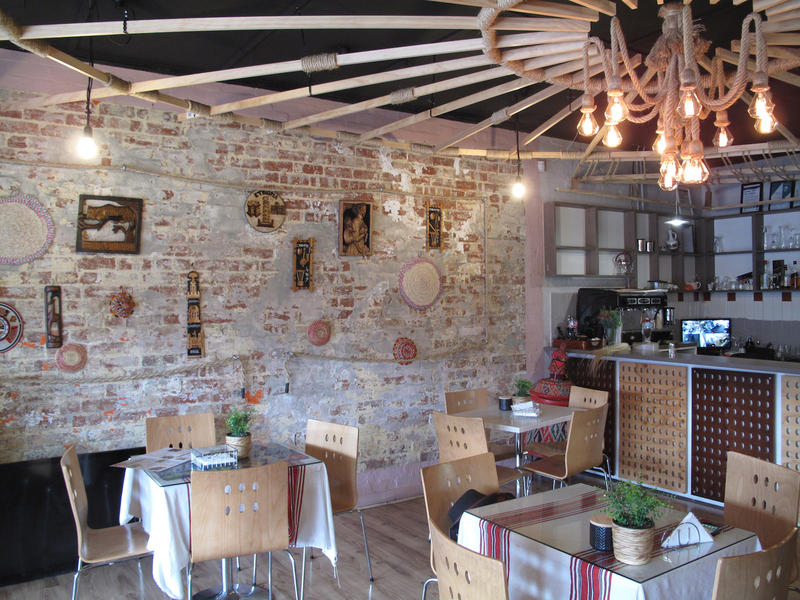 The dining room is a rather chic delight, with low-fi lighting (but still bright enough to see our food), plain yet fetching wooden tables, cushions scattered around and Ethiopian art work adorning the walls. The pungent tang of incense and funky Ethiopian sounds – some even familiar to Bennie and I from my slim collection of Ethio music – are comfort-inducing in a swell way. 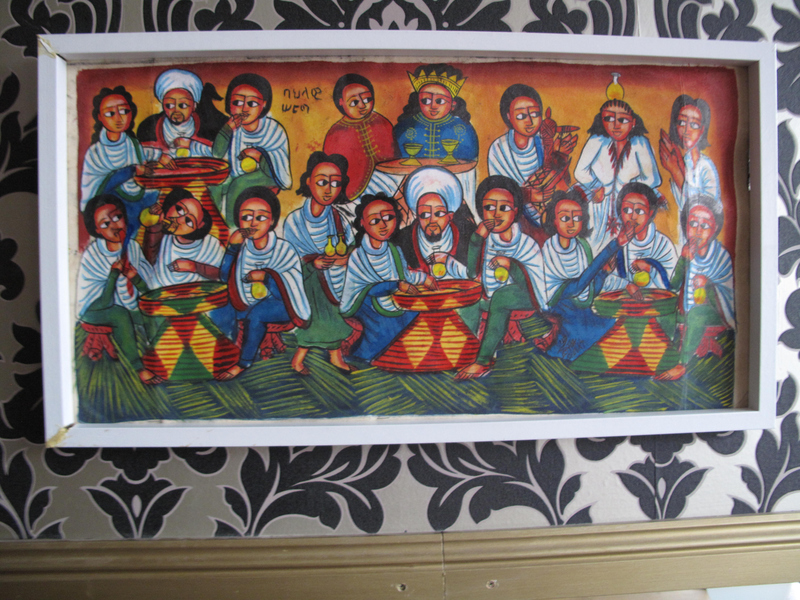 And a reminder to self to never, ever take for granted the happy miracle of the presence in our midst of the Ethiopian community – nor the presence of any other community. 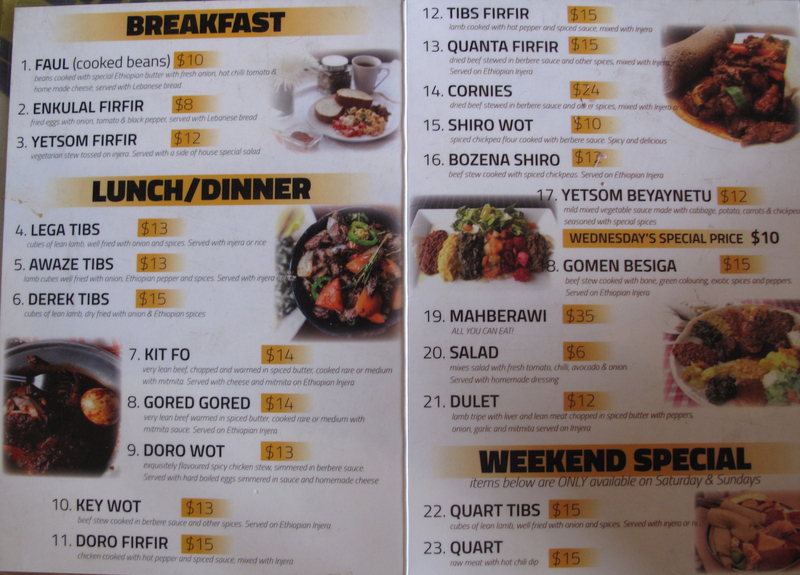 The House Of Injera menu (see below) is a simple, well-written list featuring many dishes with which we are familiar. Though there are a few wrinkles along the way. 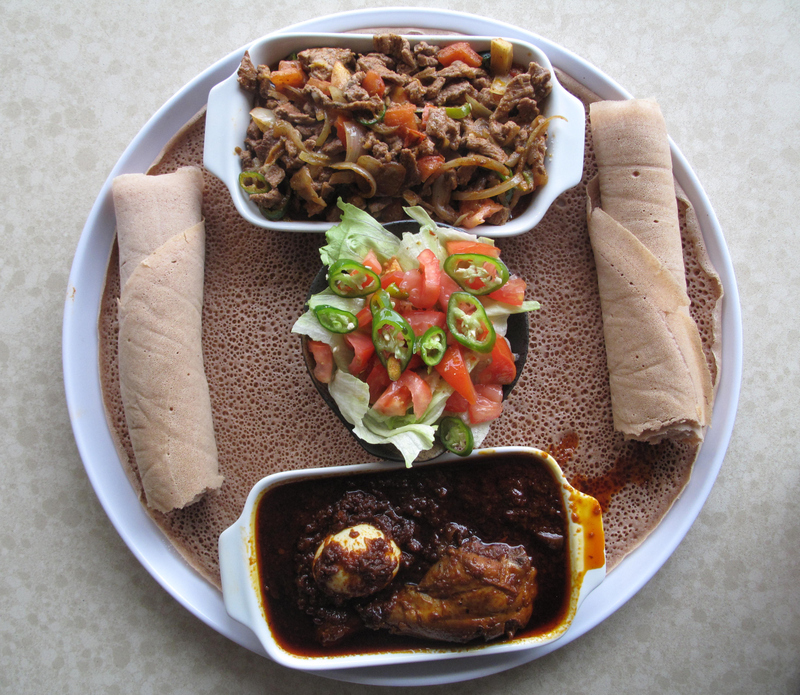 One is the inclusion of kikel seg, the meat and vegetable soup we adore, but see available at very few Ethiopian eateries. 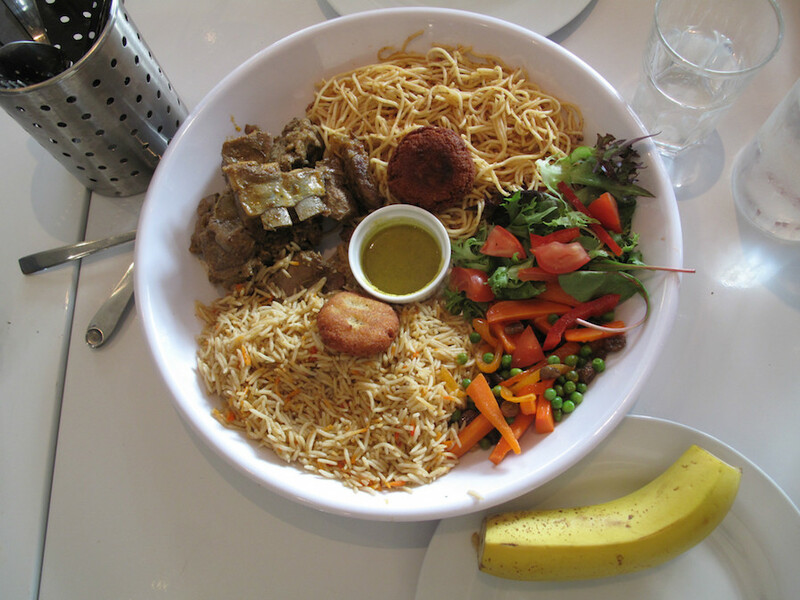 We think of it as the Ethiopian take on pho or Jewish penicillin/chicken soup. Another wrinkle is lamb ribs. My choice is soup, but I let Carnivore Boy Bennie bully me into ordering the ribs. 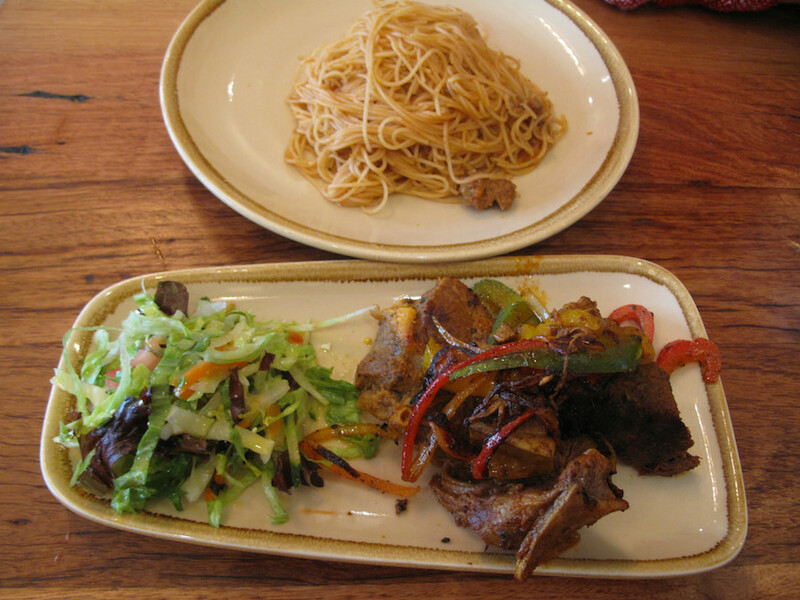 We’re told lamb ribs are eaten in Ethiopia, but not when marinated as here. Our lamb ribs ($15) look the part and constitute a generous serve compared to others we’ve had of the same meat cut elsewhere in the past few years. There are five good-sized ribs involved. 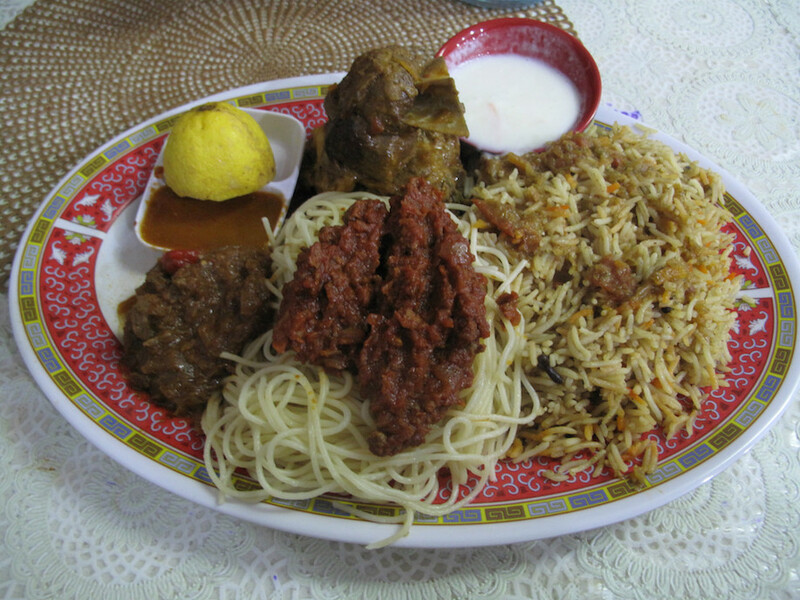 Unfortunately, we find them to be extremely fatty – indeed, a couple seem sans meat and made up of fat and bone only. 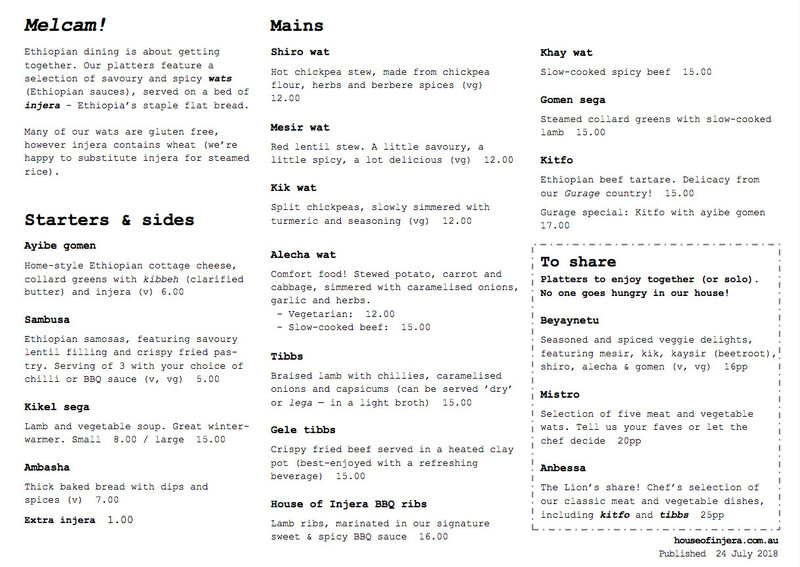 It could be argued this all goes with lamb ribs territory, but buyer beware. 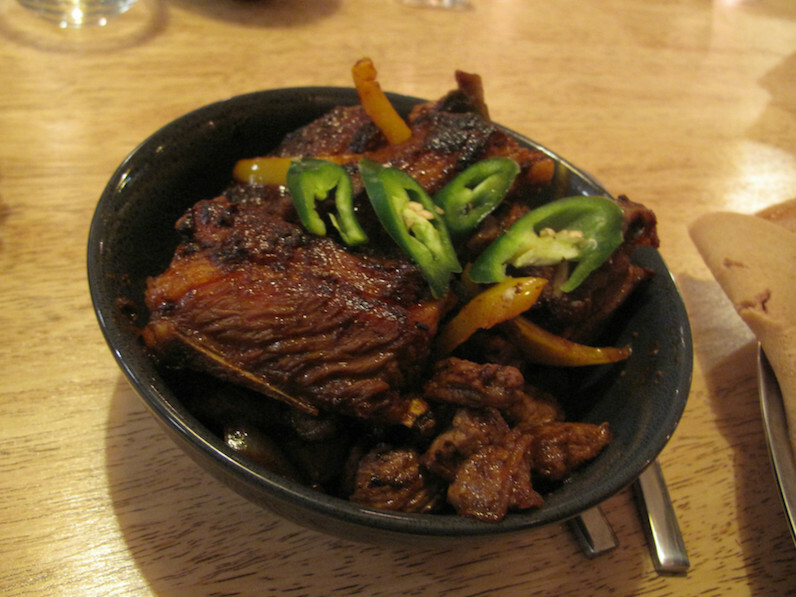 Much better are the tibbs-style lamb cubes, onion, carrot and their juices on which the ribs are presented. 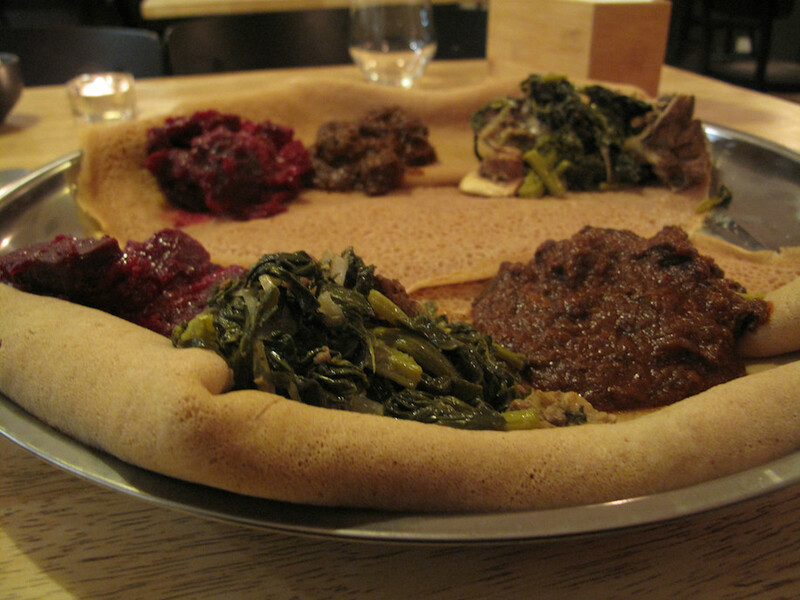 There are three combo deals to be had at House of Injera – the all-veg beyaynetu at $16 per person; the mistro, a mix of five meat and vegetable dishes, at $20 per person; and anbessa, the all-in line-up for $25 per person. 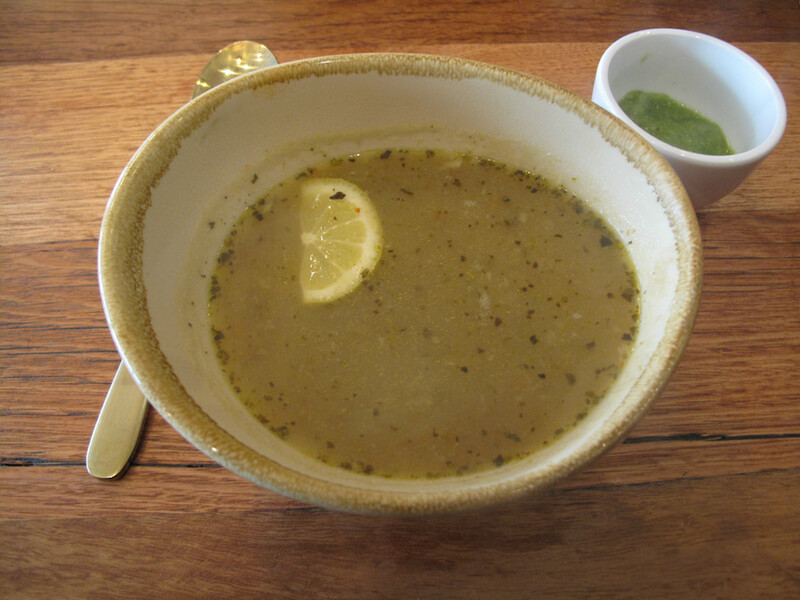 We order the mistro – and are knocked-out happy to find it includes a small bowl each of aforementioned kikel seg soup. 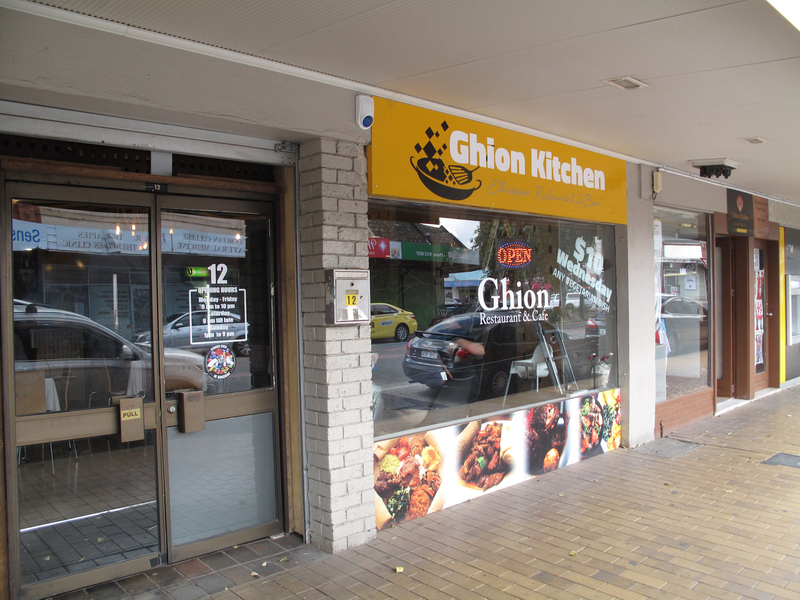 It is excellent – and there’s a heap of on-the-bone meat submerged in our bowls. 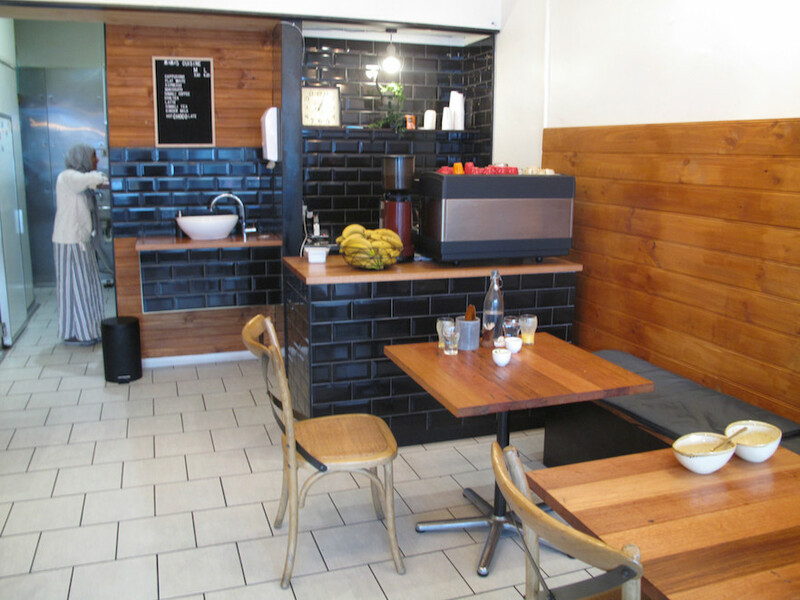 The rest of our mistro line-up includes wonderful renditions of khay wat, gomen sega and the familiar, always-welcome Ethio mix of beetroot and spuds. The meat in the beef stew that is khay wat is cooked down and easy to eat. 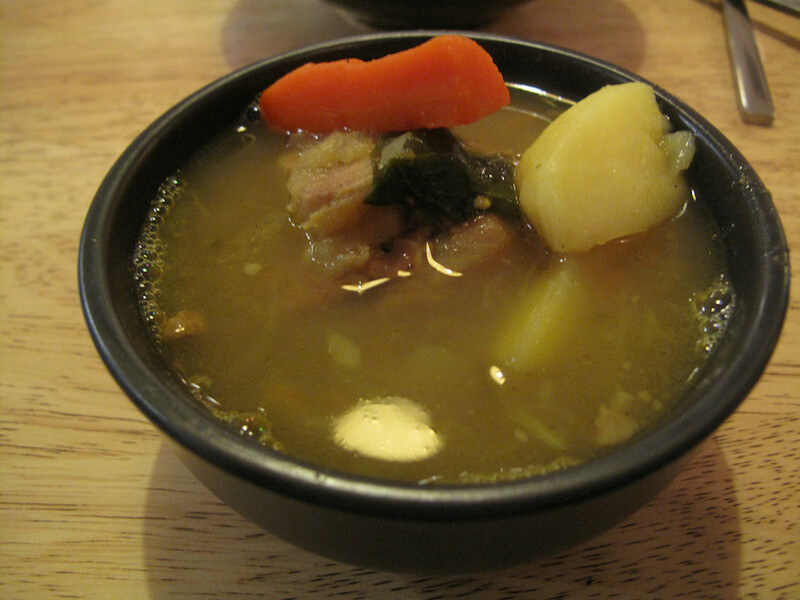 The greens of gomen sega come with another wrinkle – more tender on-the-bone meat, which makes me recall the stew-meat greens that are staples of much cooking of the southern parts of the US. 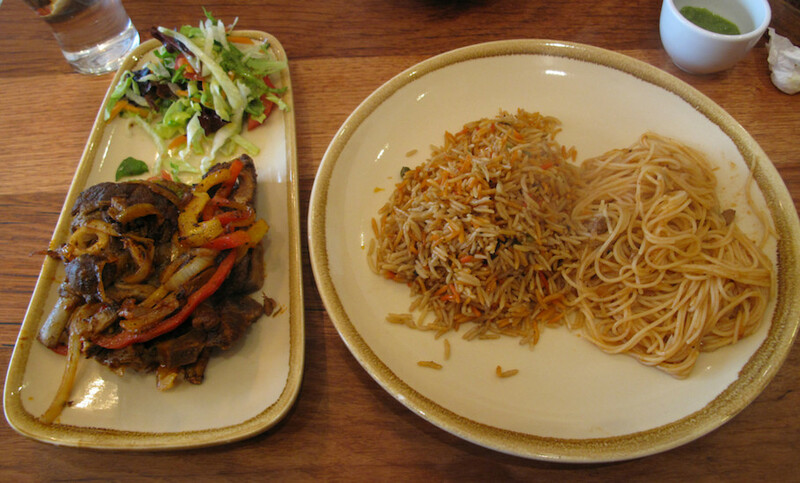 We’re far from complaining, as there’s more food served to us than we can eat, but instead of five dishes as part of our mistro combo, we have been served four. 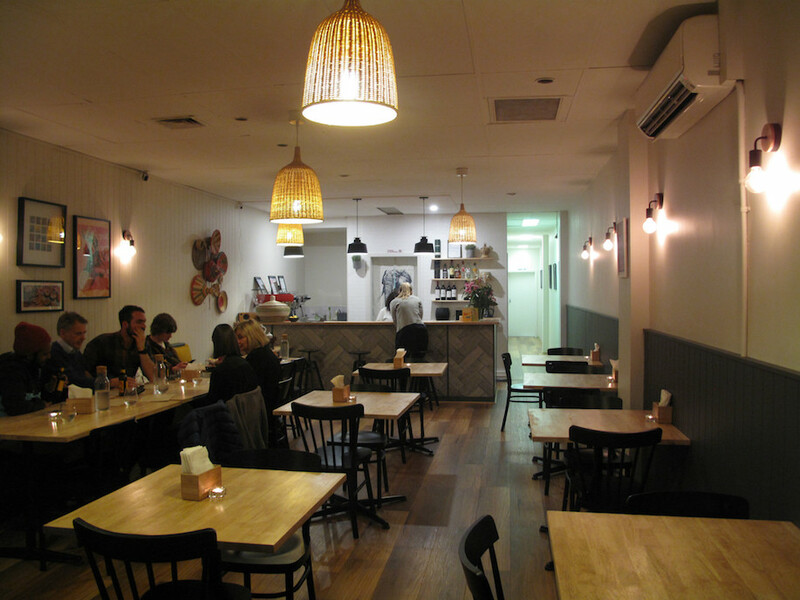 No problem at all – and our bill is adjusted accordingly. Mentioning that – and the fatty ribs – is par for the CTS course and nothing less than our readers expect. 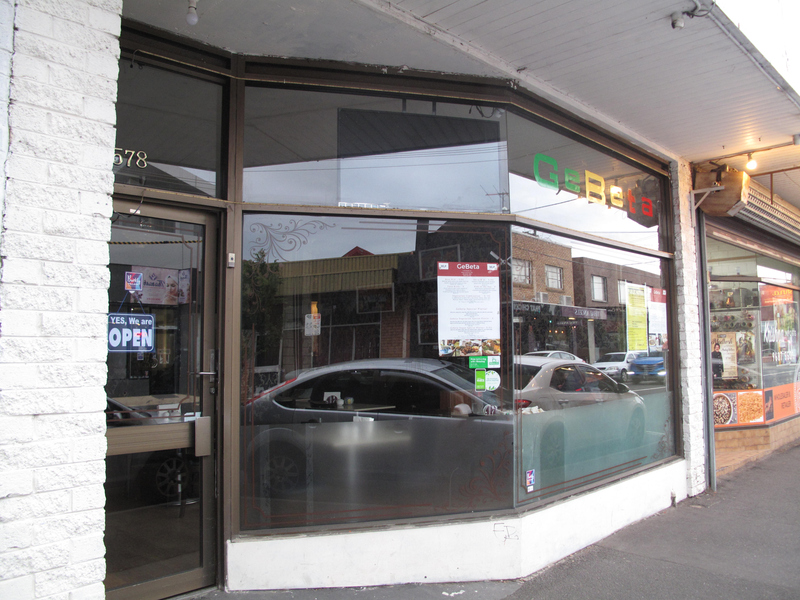 But in this case, it grieves me a little, as we really do love this place and we love our meal. 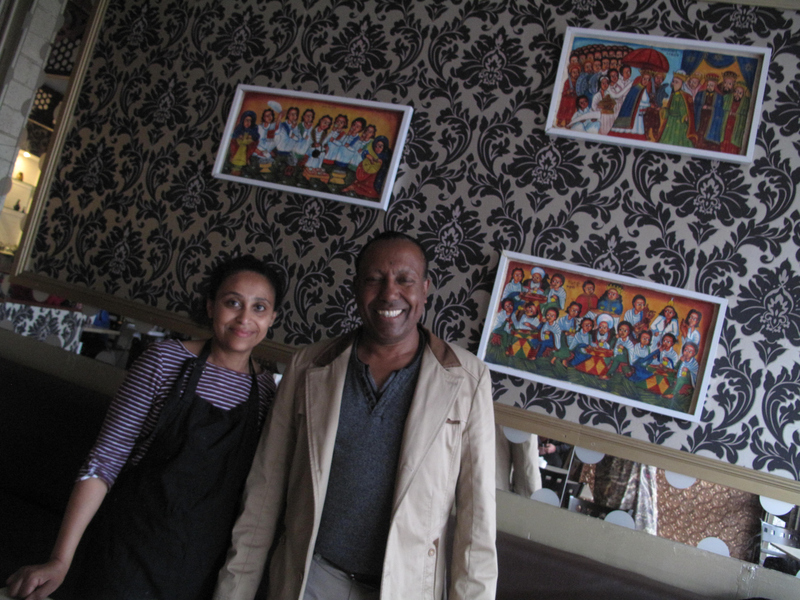 House of Injera is warmly CTS recommended. 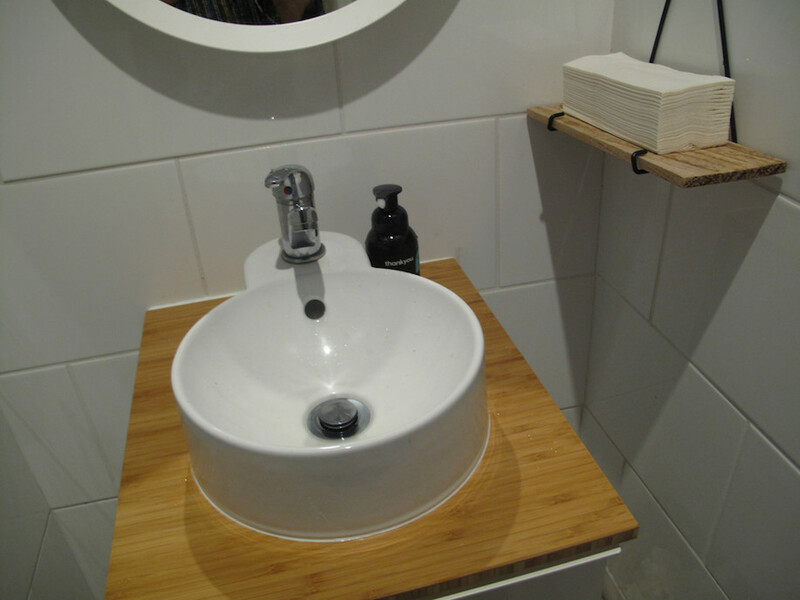 Besides, it’s impossible to dislike a place that takes on board the hands-on nature of its food by providing facilities that include a basin into which hot water runs IMMEDIATELY and in which paper towels are on hand. 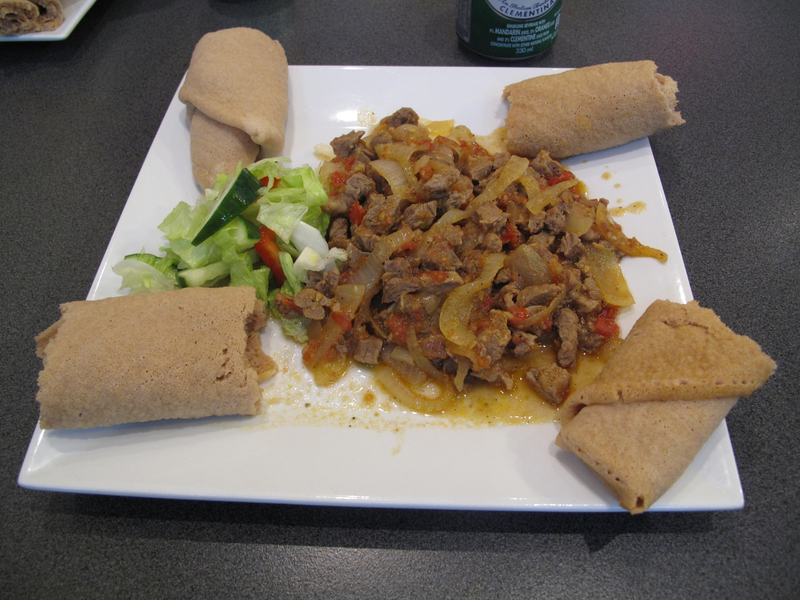 Check our the House Of Injera website here.